This is not meant to be a "study", only a practical guide. 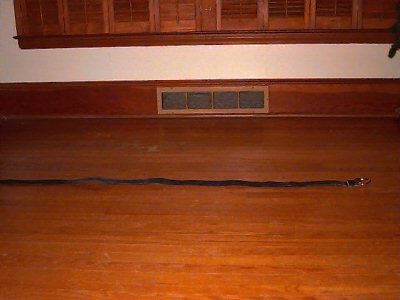 Lay belt on floor with the inside facing up. 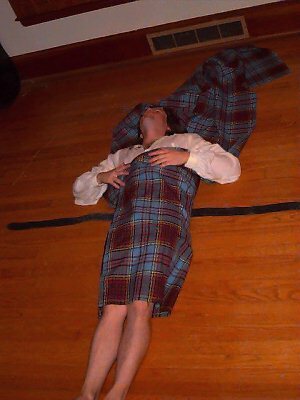 Lay the kilt material over the belt with the belt towards the "bottom" of the material. 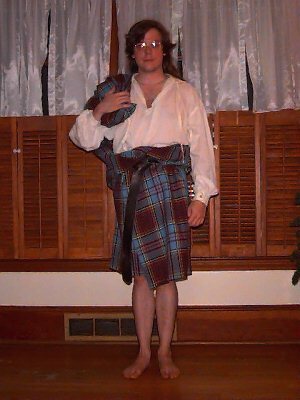 The bottom of the kilt is supposed to bisect your kneecap. The belt is obviously at waist level, so keep that in mind when placing it. 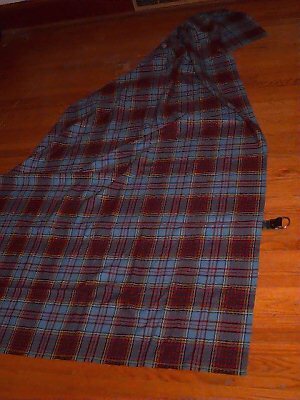 Pleat the kilt from the middle outwards to both sides by gathering the material into folds. 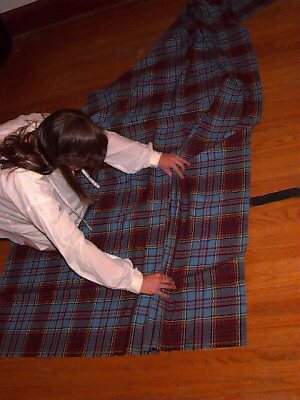 You need only pleat it from belt-level down to the bottom. 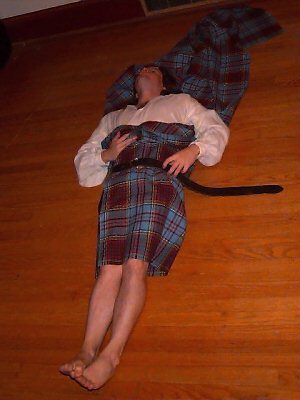 Lie down on the kilt with your legs "hanging off" of the bottom. 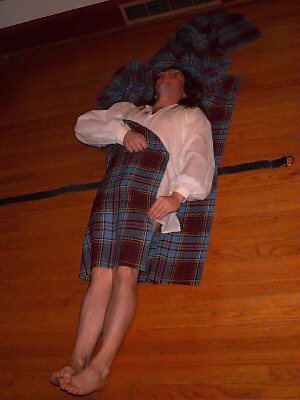 The bottom of the kilt should bisect the kneecap. until it rests on the outside of your opposite leg. 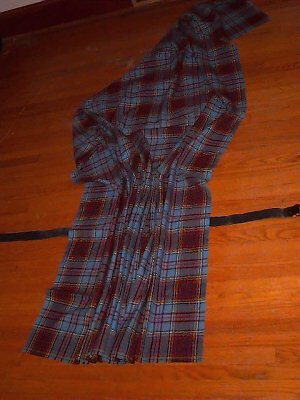 If pleats pull out in the process. Don't be concerned. Make the belt's final adjustment to waist-level. 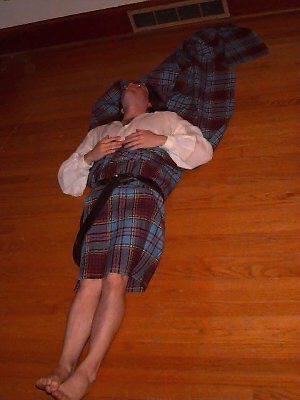 The Kilt Mantra: "It bisects the knee... it bisects the knee..."
What to do with the upper part of the Kilt or "hanging the plaid"